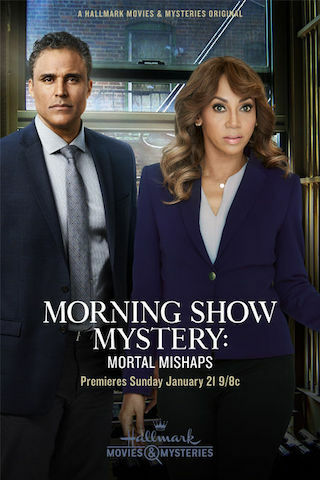 Morning Show Mystery is an American 120 minute scripted mystery television series, which kicked off on January 21, 2018, on Hallmark Movies & Mysteries and is broadcast every Sunday at 21:00. The show is currently in its 2019th season. Hallmark Movies & Mysteries is yet to announce the renewal of Morning Show Mystery for Season 2020 as well as its cancelation. Sign up to track down the show's status and its release date. TV chef and restauranteur Billie Blessings turns her talents to solving mysteries. Based on a series of best selling novels by "Today" show host, Al Roker.